This Kensington K66619EU Essentials Kit is the ideal companion for your netbook computer! The K66619EU features a miniature size 3-button mouse with a scroll wheel for easy navigation through web pages and documents. With a USB interface, installation is a breeze! Keep your netbook secure with the combination lock. The keyless combination lock attaches to most netbooks with a Kensington security slot and provides you with up to 10,000 personalized combination codes! Finally, the K66619EU comes with a reversible sleeve that fits a netbook or mini notebook up to 10-inches in screen size. The light and durable neoprene construction will protect your mobile companion from bumps and minor scratches! 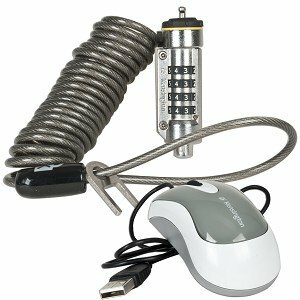 Get this Kensington Essentials Kit for Netbooks today!